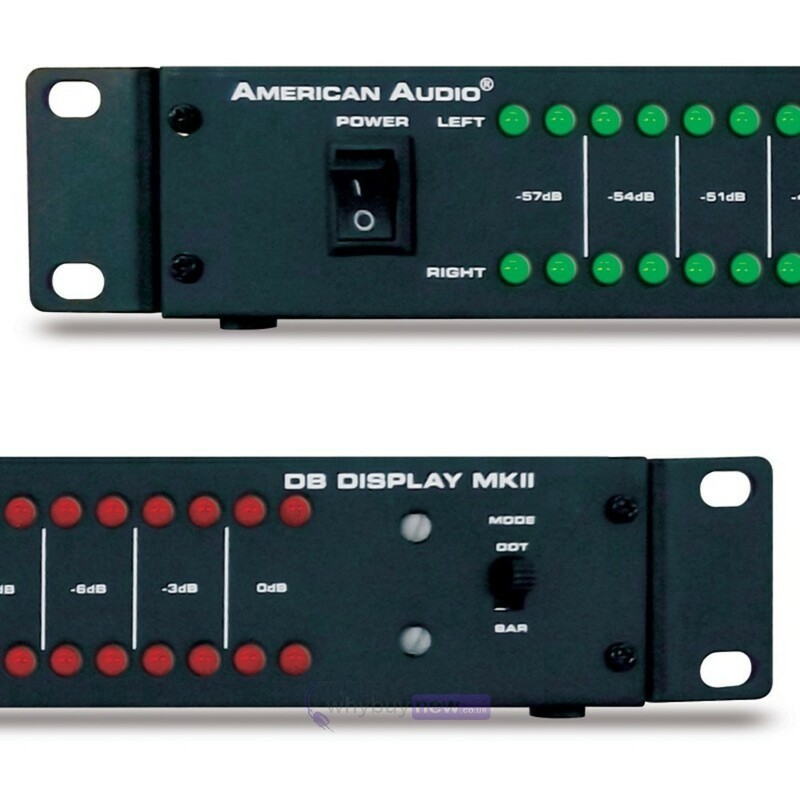 The American Audio dB Display MKII is a 19-inch rack mountable LED dB level display and amp rack lightshow. 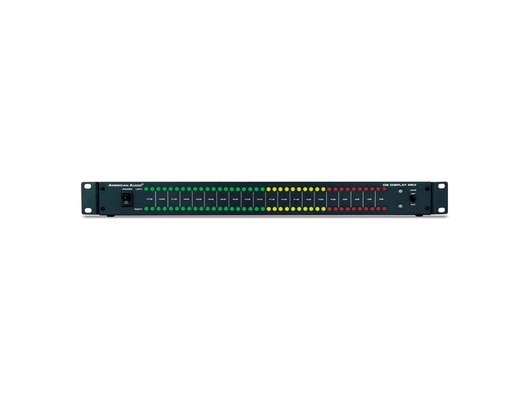 This all-metal dB display MKII is great for monitoring your sound volume and also creates a great lightshow in your amp rack. Make sure your speakers stay in great shape by keeping those dBs under control through this monitoring system. The LED display progresses from green through amber, to red. There are two different operating modes: Dot or Bar. 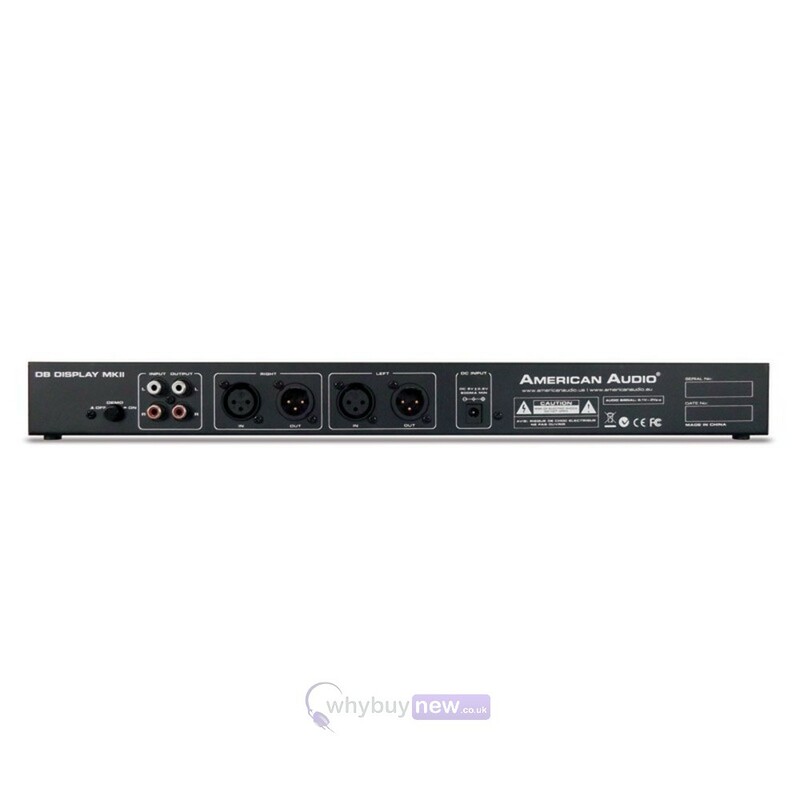 A 5V power supply is included so you can get the unit plugged in and running right away. 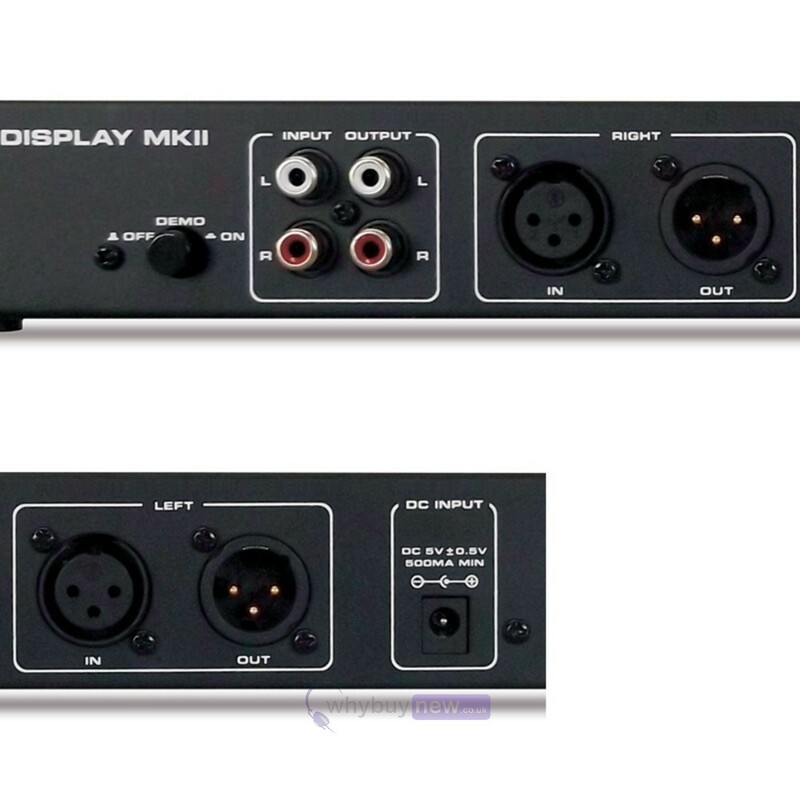 The DB DISPLAY MKII is perfect as a stage, church, club or bar install or for a mobile entertainer.